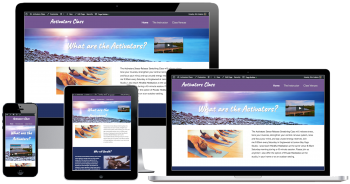 ATS designs and maintains beautiful, custom-tailored websites that deliver your message, engage your audience and get results. I don't have a website or I need a new one. I have a website that needs to be updated. Help! My website isn't working! I need hosting for my website. ATS has been providing high-quality, affordable web design and web services to customers in the Sarasota Florida area and beyond for over 10 years. Our focus is on small and medium sized businesses who aren't sure how to get started or what's really important when it comes to websites and establishing or maintaining an online presence. Your website may look great on a large screen but what about a mobile device? People now visit websites more often from phones and tablets than from computers. Google ranks mobile-friendly websites higher in mobile search results. If your website isn't mobile-friendly it needs to be. 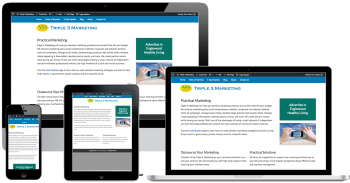 Let us help you build a modern, responsive website that performs well everywhere.